25-88010-PF EnviroMax® Pointed dry foam tip, heat staked to polypropylene handle. Sterile. 25-88010-PFB EnviroMax® Pointed dry foam tip, heat staked to polypropylene handle. Sterile. 25-88010-PF RND EnviroMax® Round dry foam tip, heat staked to polypropylene handle. Sterile. 25-88010-PFB RND EnviroMax® Round dry foam tip, heat staked to polypropylene handle. Sterile. 25-88050 PF EnviroMax Plus® Pointed pre-moistened foam tip, heat staked to polypropylene handle. Pre-moistened with 50% neutralizing buffer & 50% 0.1% peptone water. 25-88050 PFB EnviroMax Plus® Pointed pre-moistened foam tip, heat staked to polypropylene handle. Pre-moistened with 50% neutralizing buffer & 50% 0.1% peptone water. 25-88050 PF RND EnviroMax Plus® Round pre-moistened foam tip, heat staked to polypropylene handle. Pre-moistened with 50% neutralizing buffer & 50% 0.1% Peptone water. 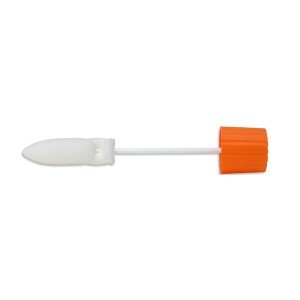 25-88050 PFB RND EnviroMax Plus® Round pre-moistened foam tip, heat staked to polypropylene handle. Pre-moistened with 50% neutralizing buffer & 50% 0.1% peptone water.